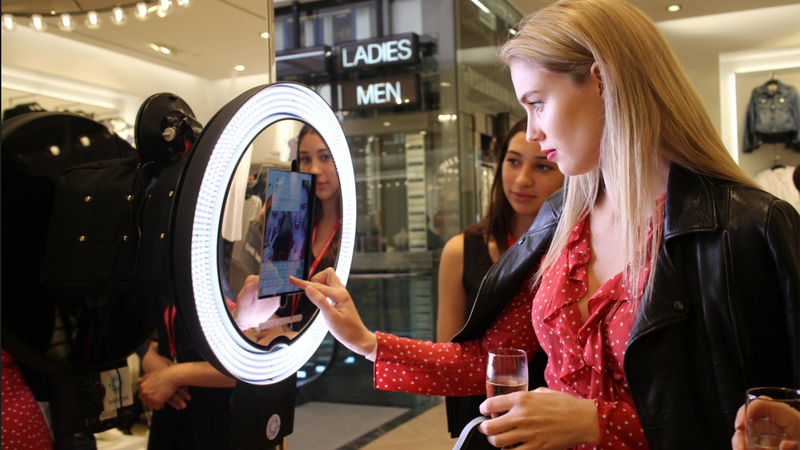 This new Interactive Trade Show Selfie Station technology cost-effectively creates engaging branded photo engagements and sharing experiences for attendees and guests. Create brand, cause and event awareness and promote brand advocacy at trade shows and conferences, corporate events, or at any party or wedding venue. Lower-cost and longer-term selfie station photo (booth) installations are the hottest trend at trade shows and corporate events. Installation duration’s span between 4-hours (for events, birthdays, weddings), to 1-week (trade shows & conferences, store openings and product launches. Still Photos: Allow your guests to take a standard still photo with an overlay border of your choosing. Guests can then share their photo and even print a physical copy. GIF Animation: Guests can take a series of photos that the combine to create an exciting stop animation that can be shared on social media. Guests select a background to be placed in real time. GIF and Burst can be added to green screen to create GIF/Burst, green screen animations. Burst/Boomerang: captures a series of photos in quick succession and creates a great live action “photo”. Select reverse to create awesome boomerang GIFs ready for sharing. Green Screen: provides a live preview of your guests superimposed on a background of your choosing. Green screen works for still pictures, GIF and Burst. 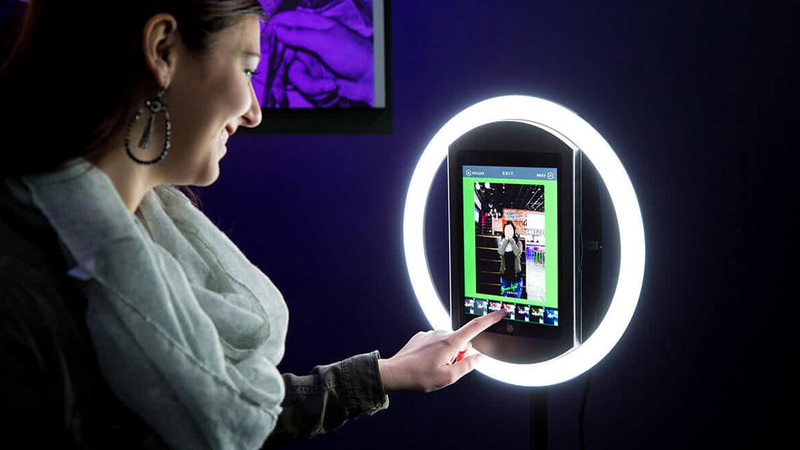 Lower-cost and longer-term selfie station photo (booth) installations are the hottest trend at trade shows and corporate events. Installation durations span between 4-hours (for events, birthdays, weddings), to 1-week (tradeshows & conferences, store openings and product launches. Lower-cost and longer-term selfie station photo (booth) installations are the hottest trend at trade shows and corporate events. Technology transform industries. Photo booth engagements have long been incredibly entertaining and popular at parties because people universally enjoy taking pictures (SELFIES) of themselves. Our exclusive new photo selfie & sharing stations are ALSO innovative marketing machines are made for lead generation. Our technologies now makes it more fun for guests and easier to share those branded selfie images and videos on their own Facebook and Instagram social media channels. You’ll soon see and agree that far more than photo entertainment is possible! This is a tactile innovative interactive marketing machine and lead generation/lead nurturing technology for generating brand awareness and brand advocacy, as well as generating gigs of amazing media and content for your own marketing. 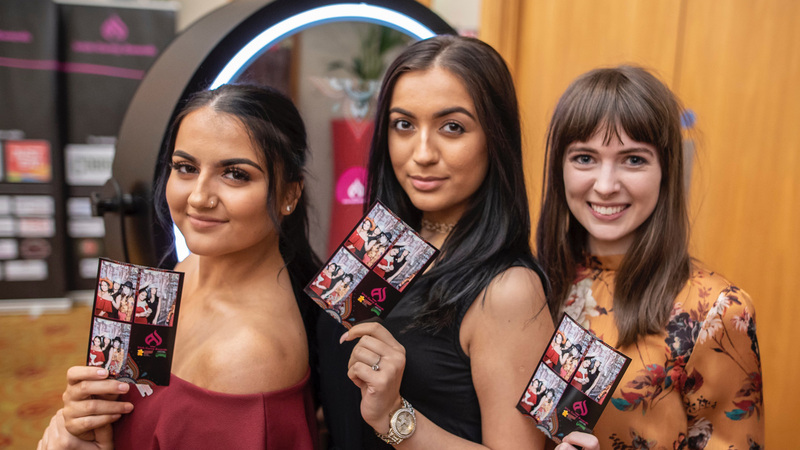 This is the next evolution of the photo booth, and an exponential opportunity for event managers and organizers of conferences and trade shows to increase awareness and turn attendees or event guests in to Brand Ambassadors. Longer (1-day to 1-week) photo installations are now possible, at a lower ost, with a platform for measuring ROI and reporting. Photo experience engagements are now available by the day or multi-day installations. Longer trade show and installations return the highest ROI. KIOSK Selfie Station installations are generally unmanned, i.e. no 212 PHOTO BOOTH staff is provided. during event/show. 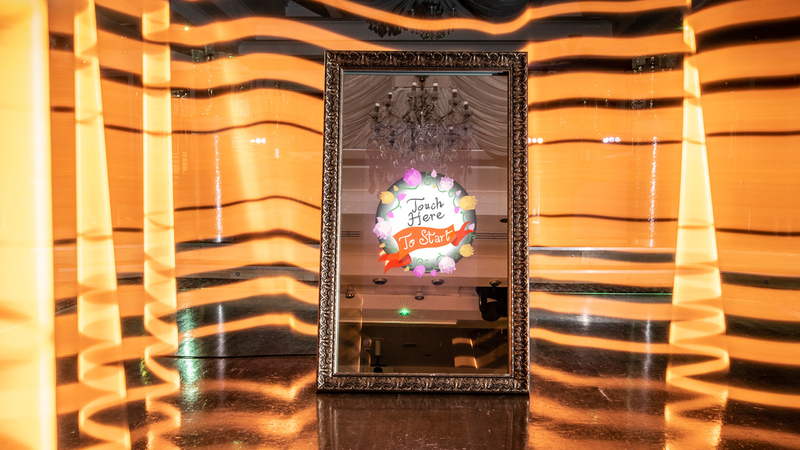 212 PHOTO BOOTH staff (Photo Attendants or Host/Hostesses) are available on request, and at an additional cost. This is highly-recommended if you choose to add onsite photo prints. Sporting Events: Game-time fun for Football, Basketball, Baseball, Soccer, and more. Concerts & Festivals: Common Sense add for Festival Organizers, Radio Stations, Concert Promoters, and more. School Functions: Capture memories at School Events, Festivals, Proms and Dances, Fundraisers, and more. Corporate Events: Optimize and brand Holiday Parties, Grand Openings, Company Picnics, and more. Private Events: Fun for Birthday Parties, Bar/Bat Mitzvah’s, Graduations, Reunions, and more.